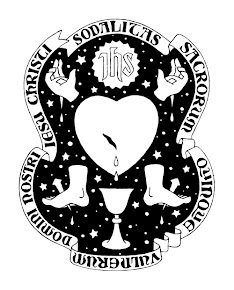 On 8 November 2010, Father Andrew Southwell, Sodality Director, blessed Chaplets of the Five Wounds using the traditional Passionist blessing (now not a reserved blessing). Rogámus te, Dómine sancte, Pater omnípotens, ætérne Deus, ut has Corónas quinque vulnerum dilectíssimi Fílii tui Dómini nostri Jesu Christi bene † dícere dignéris, ut qui eas recitavérint, méritis Passiónis ejúsdem Fílii tui, grátiam in præsénti et ætérnam glóriam obtíneant in futúrum. Per eúmdem Christum Dóminum nostrum. R. Amen. Et aspergantur vel aspergatur aqua benedicta.